People come to the Gate to find warmth, friendship and a hot cup of coffee. Some haven’t eaten in 18 hours if they didn’t feel well enough to walk beyond our doors for dinner. 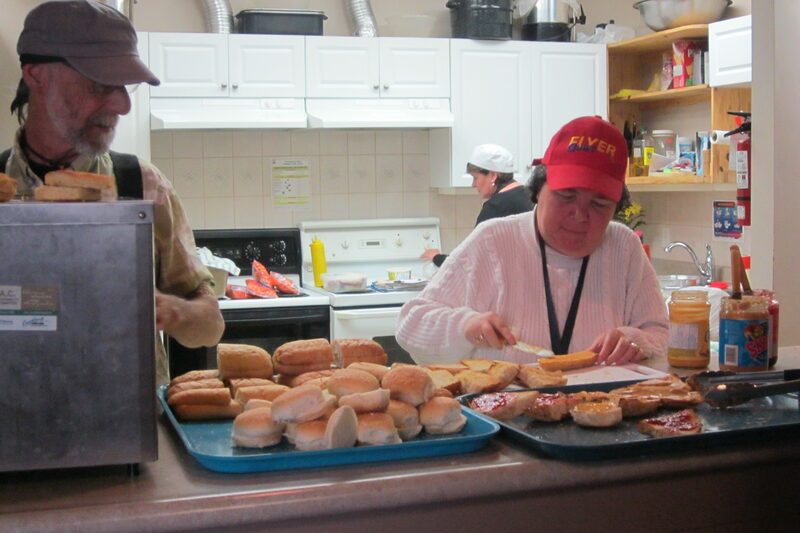 They look forward to the bagels, muffins and toast that are provided from the generous donations we receive. When you first walk in the door at the Gate you will find Bonita at our welcome desk. 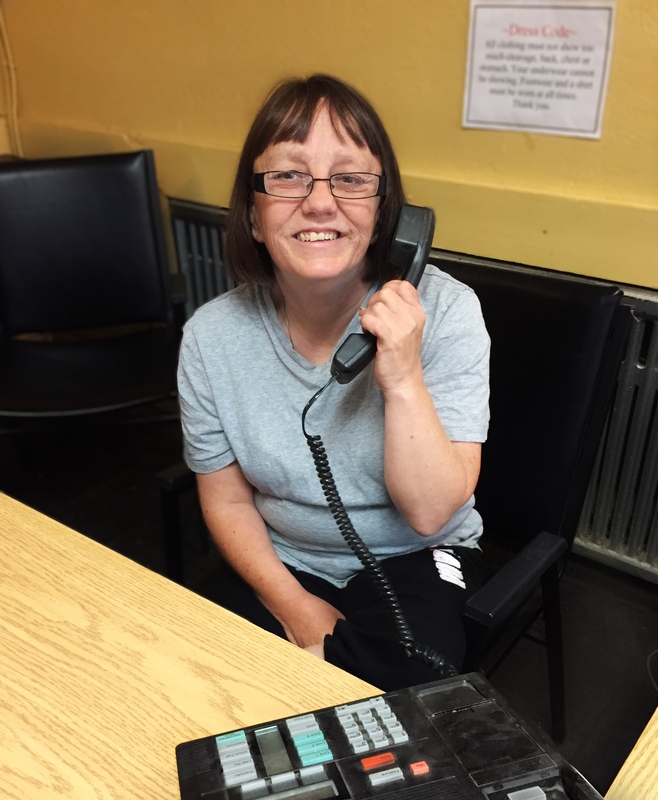 She has free dinner tickets to give out to those who can make it to St. Vincent’s kitchen for dinner. She also has all the information that you need about our services which includes: Counselling, Doctor, Emergency Dental Work, Foot Care, Emergency Bus Fare, Hairdressing, Laundry, Clothes, Hygiene Supplies, Shower, Phone, Fax, Prayer and Devotions, Sunday Worship and not to forget Breakfast and Lunch. Some of the people who come to the Gate have part time jobs. If we know who they are, we help them out with a bag lunch to take with them. Besides all our services, people have shared that the Gate is a peaceful and safe place for them to come. They often lack this in some of the rooming houses where they live. We also supply art supplies for them to enjoy in order to relax and destress from the struggles in life. Sometimes we have guest speakers who come in and educate them on topics of interest such as budgeting, health topics like HIV, fire safety etc. When you walk in the door, you only see the main eating area and kitchen, but we have offices beyond that for our counsellor, doctor, secretary and manager. The shower, laundry and clothes room are also back there. The hair dresser has her own little room in the back of the main area as well. All the extra storage and our bike program are located in the basement. This is the end of the tour; if you want to know more about our History and Statement of Faith, please continue on to our About Gate 3:16 section.